Have you ever change Google text-to-speech voice in your android nougat and other devices? Let see the complete guide to change Google TTS voice in your device. 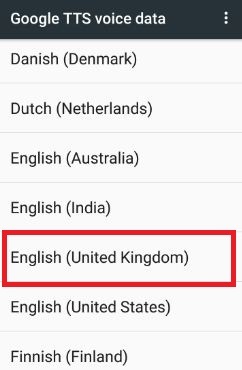 By default English (United States) set in all android phones or tablet. 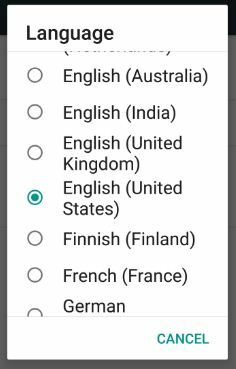 You can select from various country languages such as English (United Kingdom), English (India), English (Australia), Hindi (India), Italian (Itly), Spanish (United States) and more. You can download your favorite voice from list. Some of the list includes both male and female voice to set Google text-to-speech in android device. 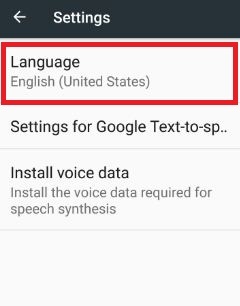 Follow below given step by step guide to change Google text-to-speech voice android nougat 7.0 & 7.1 devices like as Pixel & Pixel XL, Moto G4 plus, Nexus 6P/6, LG V20, Samsung galaxy S7 & S7 edge and other devices. You can see various section including keyboard & input method, speech and mouse/trackpad section in Language & input settings. 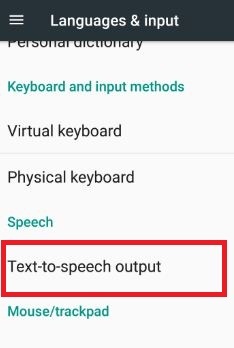 In this text-to-speech output settings, you can manage below settings in your android device. By default set Google text-to-speech language as English (United States). You can see the list of Google TTS voice data. Tap on language want to use as Google text-to-speech voice. 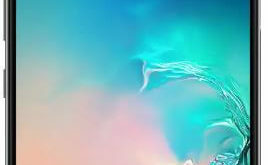 Two voice set seen in your screen. Now download it in your device. After download the voice, tap on any voice. You can see various voice of male and female on screen. 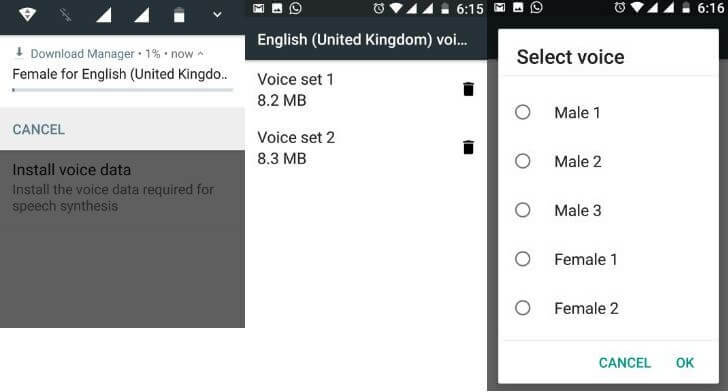 Choose from list and press OK.
Now change Google text-to-speech voice android nougat and other devices. 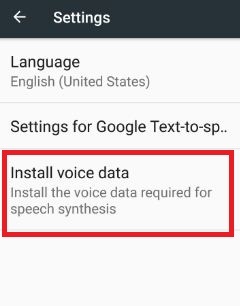 In Google text-to-speech settings, you can also enable / disable auto-update voices, download voices data using only Wi-Fi and amplify speech volume in your android nougat 7.0, marshmallow and other devices. 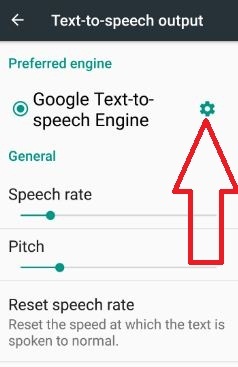 Don’t forget to mention above steps helpful to change Google text-to-speech voice android device. If you find above article helpful then share with your friends on social network such as Twitter, Facebook and LinkedIn.